Downtown Phoenix Info Session About August Light Rail Ballot Measure - Downtown Phoenix Inc.
A group of light rail opponents seeking to end its expansion collected enough signatures to bring the issue to a vote, and it will be on the ballot in a special city election in late August. 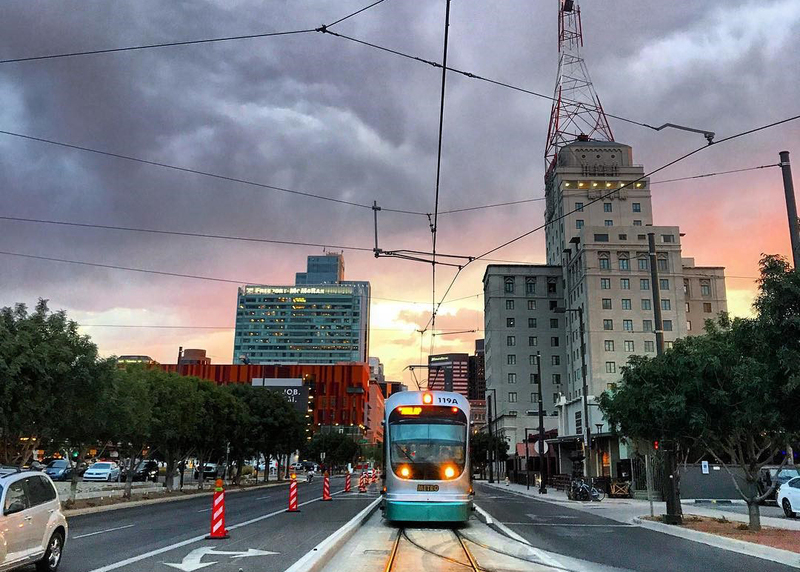 On Tuesday, April 2, Friends of Transit and Downtown Phoenix Inc. will host an information session about the ballot measure and potential impacts of the vote from 2-3:30 p.m. Valley Metro CEO Scott Smith will provide a presentation, and be available for Q&A. Free and open to the public, the event will be at the Downtown Phoenix Inc. offices, located at 1 E. Washington Street, Ste. 230. Refreshments are provided by Friends of Transit and RSVP is required. The ballot measure targets Phoenix light rail specifically, but because Valley Metro is an intra-city service, the vote affects the entire system, including future lines connecting downtown to south Phoenix and the Capitol. Initially formed in opposition to the South Central Extension — and the reduction in vehicle traffic lanes associated with it — the group behind the measure started the anti-light rail petition process after City Council voted in September to proceed with the south-side extension as planned. When: Tuesday, April 2, 2019 from 2-3:30 p.m. Parking: Validated parking is available in either of the two CityScape Public Parking garages for the length of the meeting. Please bring your ticket with you for validation at the front desk after the meeting. Created in 2001, the goal of the Friends of Transit nonprofit is to educate the public on the benefits and importance of a well-designed and accessible mass transit system. Read more. Downtown Phoenix Inc. (DPI) is a community development group created in 2013 to advance the continued revitalization of Downtown Phoenix. A collaboration of business leaders, City of Phoenix staff and community leaders, DPI coordinates activities between the Downtown Phoenix Partnership, Phoenix Community Alliance and Downtown Phoenix Community Development Corporation. Read more.